Enchanting pastel-colored wooden letters for children's chamber doors and walls. The cute pastel-colored wooden letters can be attached to any door or wall using craft glue or double-sided adhesive tape. 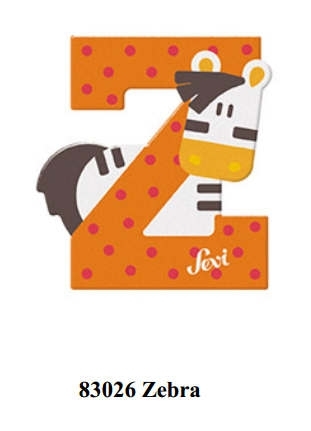 With the help of the beautiful animal motifs, the children can learn the letters in a playful way. Sevi still relies on craftsmanship in the production of products made of the living material wood. Tradition plays a major role here, always in conjunction with modern design and innovative production processes. The result is products of outstanding quality and class. Regarding the environmental impact of the products, Sevi is first class. So the colors used are non-toxic. Sevi's production process has been certified to UNI EN ISO 9001 since 2000.